When it comes to Leavenworth WA accommodation that can provide a cozy hotel room and deluxe amenities, the Bavarian-inspired ALPINE RIVERS INN has everything you need for a relaxing escape. Our hotel accommodation features hand-carved and hand-painted imported Austrian furnishings and decor, as well as down comforters with soft duvets to keep guests cozy at night. 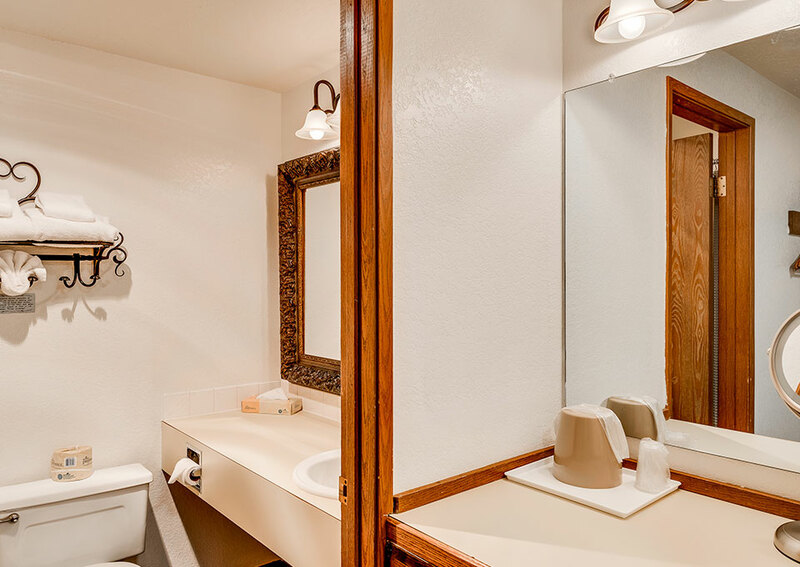 Amenities include conveniences such as flat-screen TVs, Keurig coffee makers, microwaves, mini-fridges, and complimentary high-speed Wi-Fi. 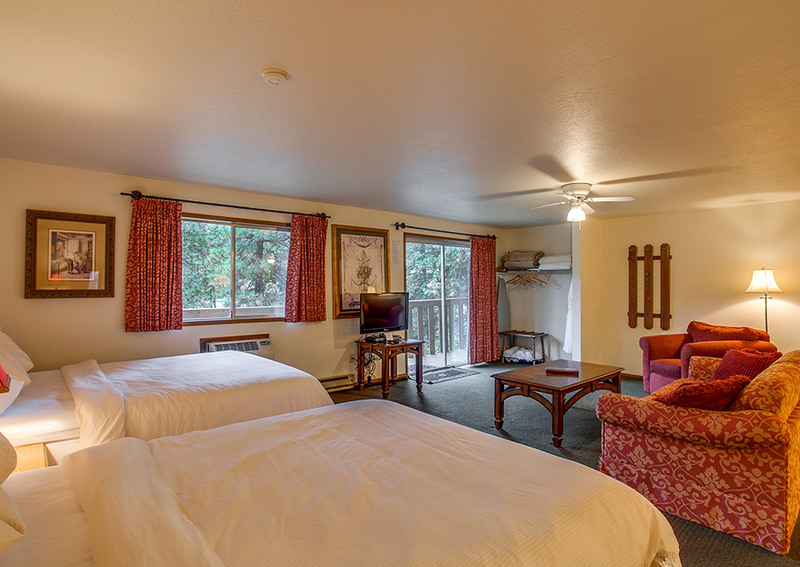 Feel free to browse through our rooms and suites below and discover the accommodation that is best suited to your visit here in Leavenworth. 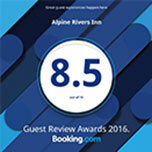 Our staff at the ALPINE RIVERS INN hope you choose us every time you are searching for bed and breakfast Leavenworth WA hotels. We look forward to providing you with a warm welcome when you arrive. Occupancy of the room is limited to the number of guests on the confirmation letter (adults, children and infants). This is for safety and guest comfort. Please call us in advance if you intend to bring additional guests so appropriate accommodations can be arranged before your arrival. Violation of the policy will result in a charge of $100/poerson/night for the nights the policy was violated and guests will be asked to leave with no refund. Perfect for couples seeking a romantic escape, this 220 square-foot Bavarian-style room offers a cozy queen-size bed, 32" flat-screen TV, complimentary high-speed Wi-Fi, a Keurig coffee maker, mini-fridge, a private balcony overlooking the Wenatchee River and an array of additional amenities for a lovely stay in Leavenworth, Washington. 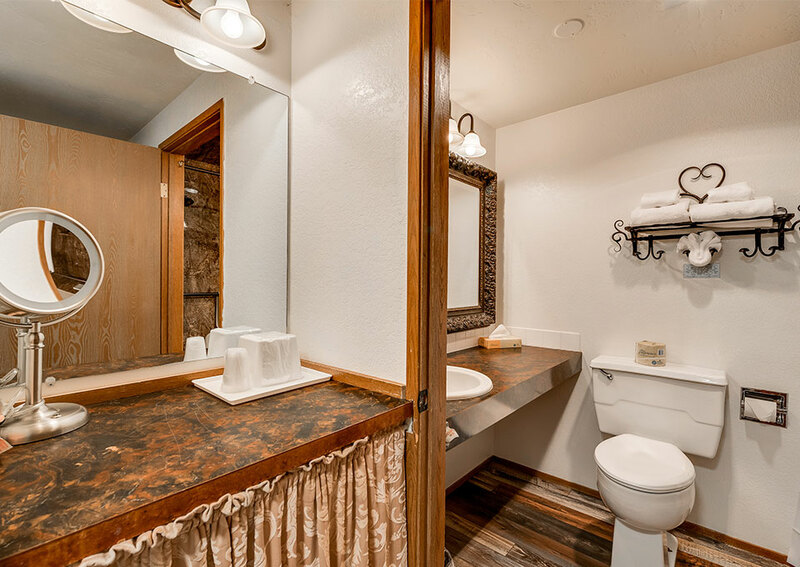 Suitable for a couple or small family, this 220 square-foot room has all the comfort of a home away from home. 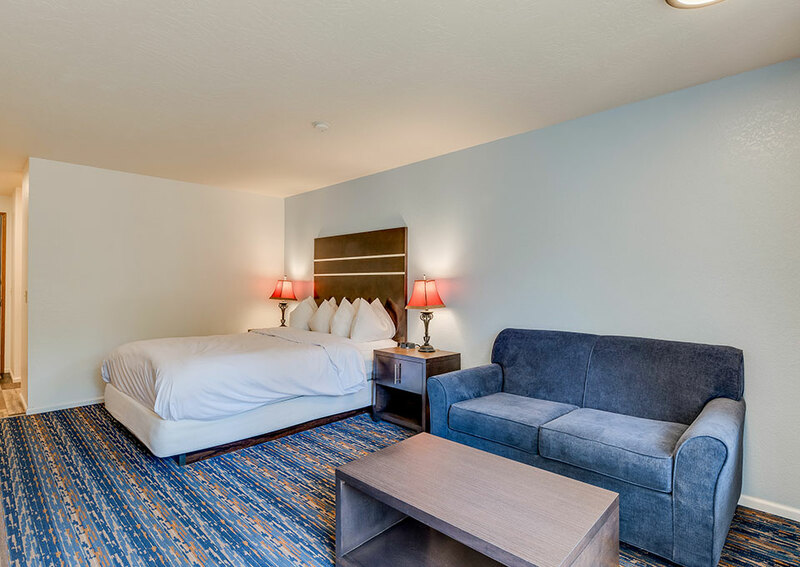 Featuring two comfortable queen-size beds, a private balcony that overlooks the Wenatchee River, a 32" flat-screen TV, Keurig coffee makers, a microwave and a mini-fridge, this room has everything you need for ultimate comfort and relaxation. 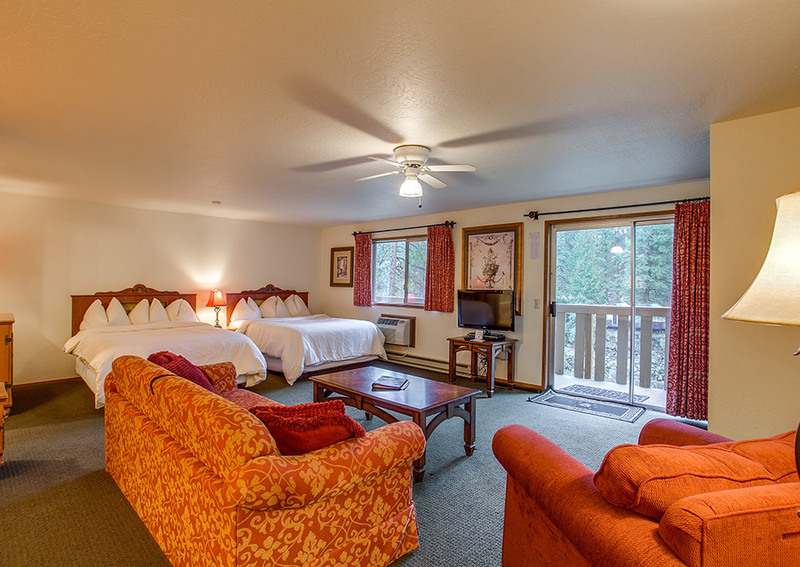 The ALPINE RIVERS INN wants to make sure every single one of our guests is comfortable during their stay. Our accessible queen room with queen-size bed provides even more access and space than the rest of the rooms and suites. 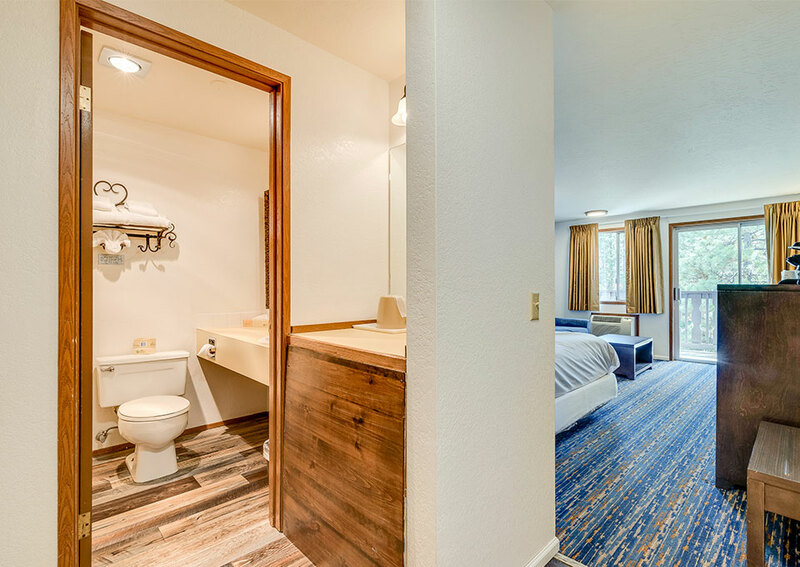 This room has a private balcony that overlooks the Wenatchee River and features a shower with safety handles, as well as a 32" flat-screen TV, Keurig coffee maker, a microwave, and mini-fridge - all accessible for our disabled guests. 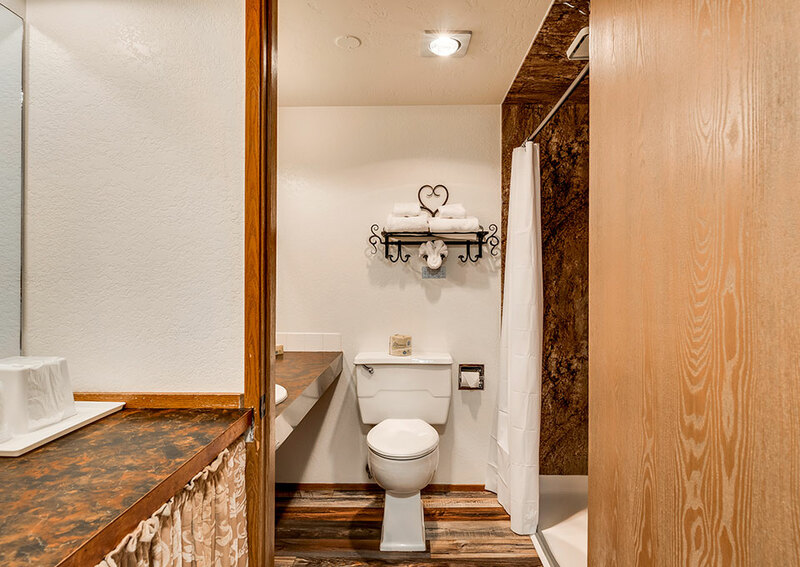 Our 330 square-foot King Suite is ideal for romantic couples that require more space or a memorable family vacation in Leavenworth. The master bedroom features a king-size bed and the living room has a queen-size sofa sleeper. 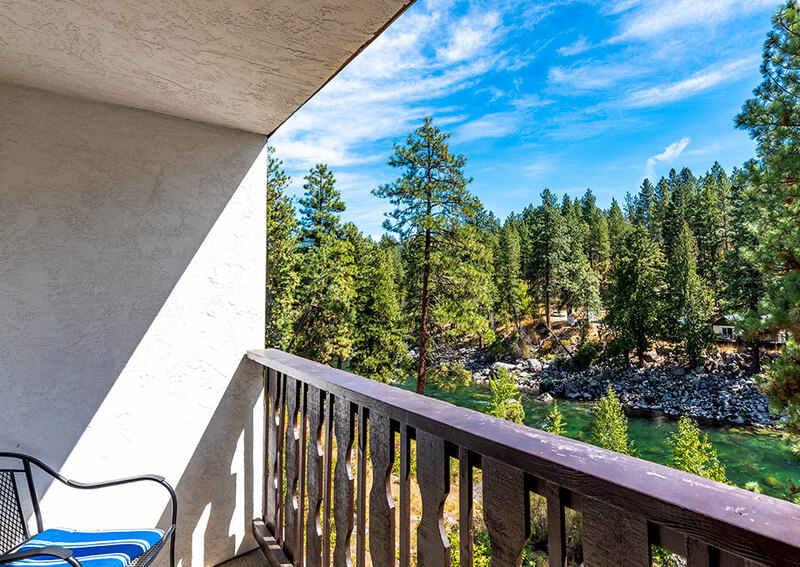 Other suite features include a 32" flat-screen TV, microwave, Keurig coffee maker, mini-fridge, and a private balcony that offers amazing views of the lively Wenatchee River. 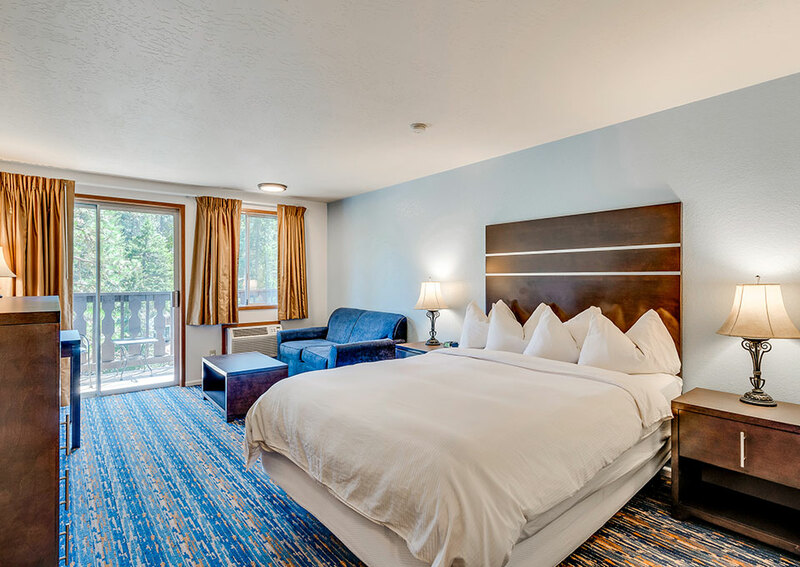 Our 330 square-foot family suite features two queen beds and queen-sized sleeper sofa, these spacious rooms are favorites of families and large groups. A 2-burner cooktop, standard refrigerator and microwave are included for convenient light meals and snacks. We do have dishes available to borrow upon request. 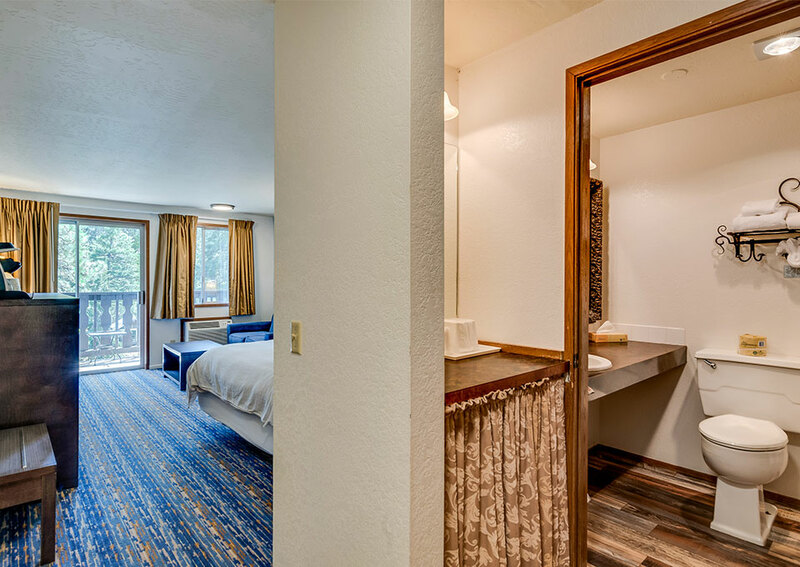 These rooms are on the lower level of the inn and have a shared walkway for easy access to the river. These rooms do not have private balconies. 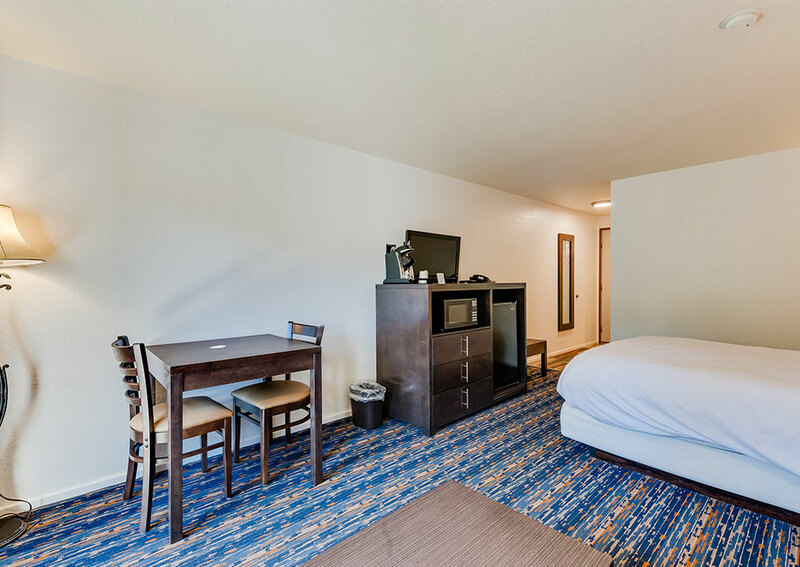 Each room also features a flat screen television with a DVD player, mini fridge, microwave, and a Keurig coffee maker. 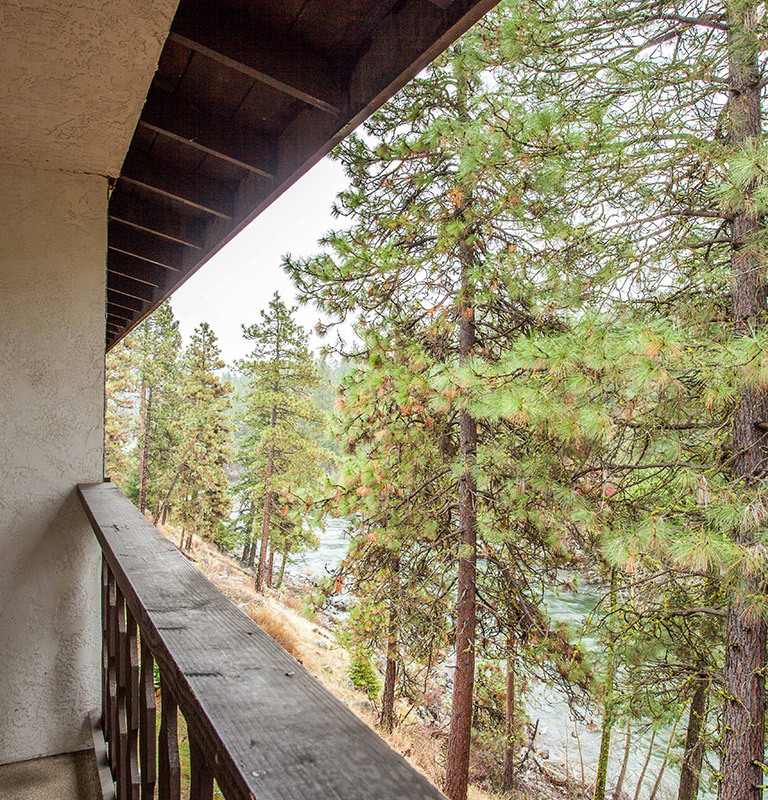 Nothing says romance like the soothing sounds of a river, fresh alpine air, and magical views of the Cascade Mountains. Check out our special offers and book today for fabulous discounts! 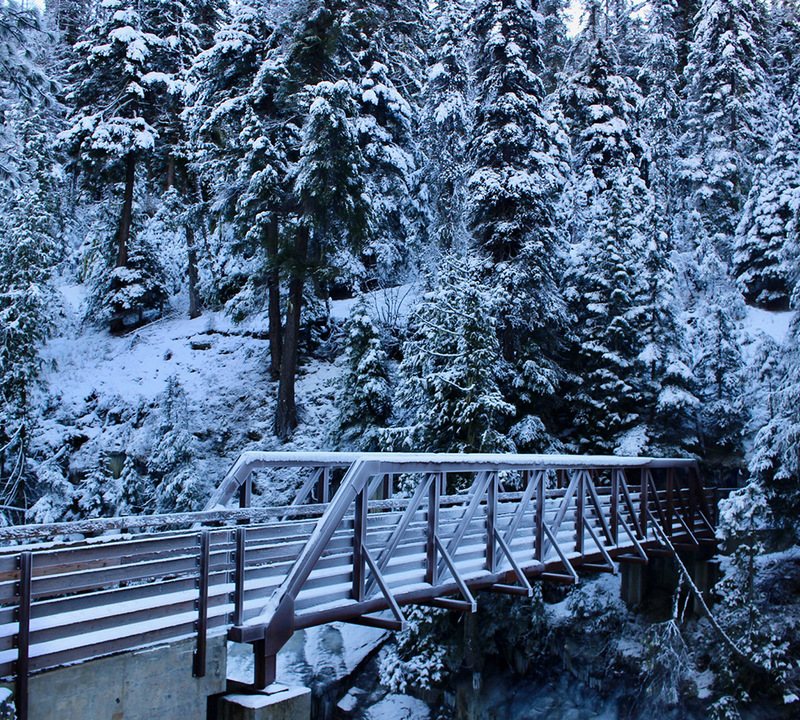 When you visit the Bavarian-style village of Leavenworth, opportunities for adventure and exploration are around every corner. Ask us about events, as well as summer and winter activities held throughout the year and book early to receive excellent discounts on accommodation.